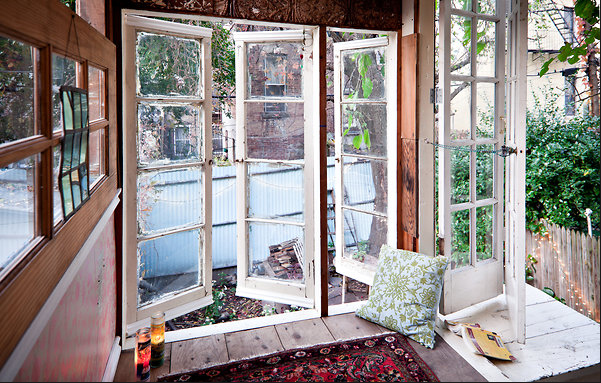 I've always wanted a treehouse in my backyard growing up, but thought it was impossible living in the city. Boy, was I wrong. 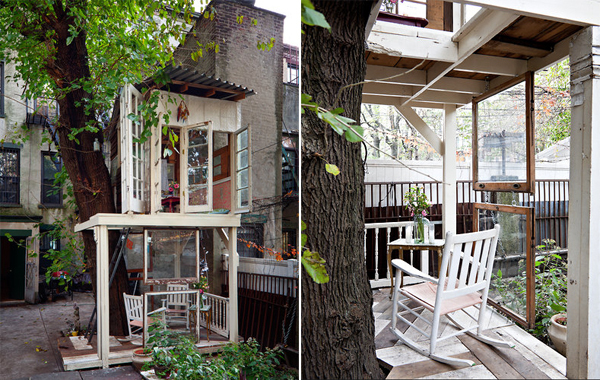 Alexandra Meyn, aka the lucky girl, built a treehouse behind her Brooklyn home. 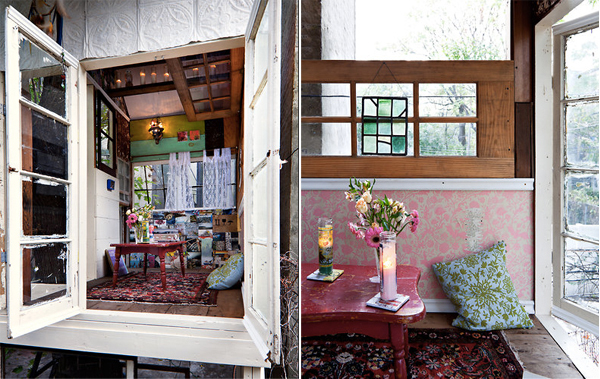 The 40-square-foot retreat is made out of salvaged materials, and the interior is covered in pretty pink wallpaper and a collage of photos from fashion magazines. Amazing!! !